Below you will find the list of speakers and panelists that will participate in the CEWEP Waste-to-Energy Congress 2018. 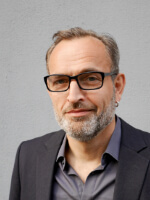 Paul De Bruycker is CEWEP president since 2017. Paul obtained a master’s degree in bio-engineering at the UGent. 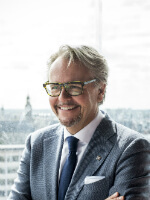 He joined Indaver at its start in 1986 and held different management positions before he became CEO of the Indaver-group in 2011. 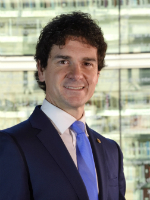 As CEO of Indaver he focuses on innovation and entrepreneurship to put the circular economy into practice. With a career of over 30 years in the waste industry, Paul is a respected senior expert in waste management and waste legislation. He has contributed to several books and published a large amount of articles that are considered to be references in the environmental field and waste treatment industry. He holds board mandates both in companies and joint-ventures associated with Indaver as well as in federations and associations in the waste treatment and chemical industry. He is the former president of Plan C, the Flemish transition platform for sustainable resource management and member of the Board of Vlaanderen Circulair, the successor of Plan C.
Indaver is a leading European waste management company specialised in the treatment and management of industrial and municipal waste. With 1700 employees Indaver generates a turnover of 550 mio EUR and manages about 5 million tonnes of waste. Unai Rementeria Maiz is President of the Government of Biscay. He has experiences in both: private and public sector: he began his professional career in 1999 as a Secretary-Comptroller of Nabamiz Town Council, and worked in two different law firms as a specialist in Administrative Law. Between 1999 and 2007 he advised several municipalities in the fields of Urban Planning, Environmental and Administrative Law. During these years, he was Councillor for Urban Planning and Deputy Mayor of Mundaka where he then served as Mayor from 2007 until 2013. In 2009 he was elected as a member of the Basque Parliament, representing the Basque National Party EAJ-PNV (until 2011). In municipal and regional elections that year he was elected to the Biscay Parliament (Juntas Generales de Bizkaia) and appointed spokesperson for the EAJ-PNV Group. He holds a degree in Law and Diplomas in Economics and in Administrative and Urban Planning Law. William Neale is Adviser on Circular Economy and Green Growth in the Environment Directorate General of the European Commission. 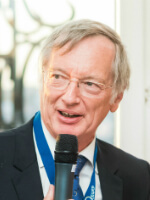 Before 2017 he served as a Member of Cabinet (private office) of two European Commissioners for Environment, Janez Potočnik and Karmenu Vella, and for Commissioner Potočnik when he was European Commissioner for Science and Research. In cabinets he has held responsibility for relations with the other European Institutions (principally the European Parliament and the Council of Ministers), planning, resources and budget, and advised Commissioners on development of policies on circular economy, resource efficiency, sustainable production and consumption, environmental technologies, eco-innovation, waste policy, transport, aeronautics, research infrastructures and external relations. From 2000 to December 2007 Mr. Neale was an official in the European Commission’s Directorate General for Enterprise and Industry. Before becoming a Commission official Mr. Neale spent 13 years in the private sector in the fields of banking, retail and management consultancy. He holds a joint honours degree in economics and history, and a masters in political science, having studied at the University of Manchester (UK). 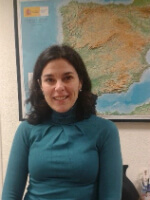 Margarita Ruiz Saiz-Aja has been serving as a Deputy Assistant of the General Subdirector on waste of Spanish Ministry of Agriculture & Fisheries, Food & Environment since 2012. She mainly works on the review of the EU waste legislation (waste package) and coordination of the policy of municipal waste and national shipments of waste. She is also responsible for national legislation on packaging and packaging waste, energy from waste, implementation of byproduct and end of waste criteria, among others. Her previous positions include Technical Advisor in the General Subdirectorate on Waste (2008 – 2012), Career Officer (starting as Advanced Technician) in the General Subdirectorate on Waste (2005-2008) and Technician in a chemistry laboratory (TECNOMA) specialised in water (2002-2003). She was also Grantee in the National Doping Control Laboratory (2001-2002) and Technician in IT consulting company SYSMA, Consulting and Systems (2000-2001). Margarita has a chemical engineering degree from Complutense University of Madrid (UCM) (1994-1999). Rafael Guinea Mairlot is President of Association of Companies Energy Valoritzation of R.S.U (AEVERSU) as well as Managing Director of TIRME, S.A. He holds an Industrial Engineering degree from the ETSIIM of the UPM as well as Executive MBA from the Business School. 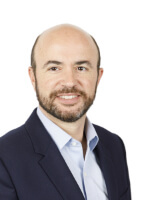 Antonello Ciotti is a graduated engineer from the University of Florence with an MBA degree from the Bocconi University in Milan acting since 2016 as Chairman in Corepla, the Italian Consortium for recycling of plastic packaging. 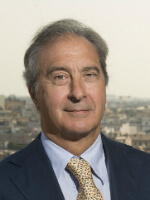 Antonello, at present is the Chairman of CPME, the European Committee of PET manufacturers and is the Equipolymers srl Managing Director. Antonello has a long history in the Dow Chemical Company serving in several locations and positions all over Europe. 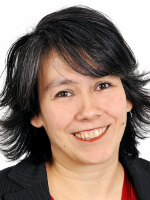 Christine Leveque is Director Business Innovation for the business unit Recycling & Recovery Benelux and Germany at SUEZ. In her function, Christine leads a team of developers facilitating and accelerating the emergence of new circular business ventures. The last years have seen her successfully focussing on projects related to the recycling of plastics. Christine holds a Master’s degree in Mechanical Engineering from the U-Mons Polytechnical faculty in Belgium. From the revamping of nuclear power plants to the develoment of biogas stations, Christine spent half of her career taking care of the energy resources, before making the move towards the material resources and associated waste recycling business. Christine lives in Belgium with her husband and two children, in a country where she hopes to see all packaging plastics being soon collected selectively in an apart bin for material recycling, as it is already the case in the Netherlands and Germany. Jarno Stet is a Waste Services Manager at Westminster City Council. Jarno Stet was educated in Amsterdam and London and he holds a double degree in facilities management in both these countries. He has worked for Westminster City Council since 2003, currently as Waste & Recycling Manager looking after the City Council’s Waste and Recycling Collection, Street Cleansing and Ancillary Services and Waste Treatment Contracts that provide environmental services to a resident population of 250,000, 34,000 businesses as well as 1 million daily visitors, commuters and tourists. Jarno is current Secretary of the National Association of Waste Disposal Officers (NAWDO). NAWDO is the primary network for senior local authority (LA) waste managers with statutory responsibilities for waste disposal. It represents the interests of the client side of waste management for LA waste disposal authorities. 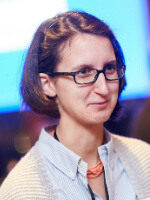 Susana Paardekooper is a PhD Fellow at the Department for Planning and Development at Aalborg University, and has been working on the Heat Roadmap Europe project since March 2016. This has resulted in 14 low-carbon heating and cooling strategies, based on spatial and energy system analysis. They explore the decarbonisation of heating and cooling in Europe in 2050, with an emphasis on integrated planning and the local dimension of heating and cooling. In this context, she has been working on the design of the heating and cooling strategies with a particular regard for the role of renewable energy integration, energy efficiency and district energy. 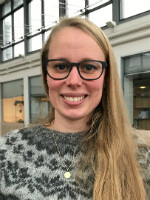 In addition to doing her PhD, she is Project Associate at the Copenhagen Centre for Energy Efficiency (part of the DTU UNEP Partnership), for the UN Environment District Energy in Cities Initiative, which works on developing clean and efficient district energy globally. 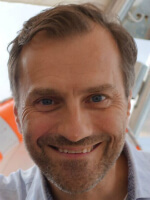 Alessio Boldrin is a Senior Researcher at the Department of Environmental Engineering at the Technical University of Denmark (DTU). 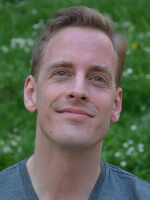 His current research includes activities related to characterisation of solid wastes, quality of data in statistical reporting, resource and energy recovery from residual materials, market quality of secondary materials, characterisation of material cycles and chemicals, nanomaterials in waste, and life-cycle assessment (LCA) of waste management systems and technologies, including biorefineries and bioenergy systems. Alessio has in the past also worked with biofuels production (from energy crops and algae), LCA of waste-to-energy (WtE) technologies, formation of dioxins in WtE boilers, improved handling/treatment of solid residues from WtE systems, and measurement of gaseous emissions from waste treatment facilities. He has authored or co-authored a range of international journal articles and conference proceedings within these topics. He is currently involved in research projects funded by EU and Danish research programs and foundations, and waste management companies and organizations. 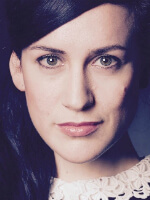 Liane Schoonus is Policy Officer at the Dutch Waste Management Association (DWMA), focusing on energy and climate. She holds a Master degree in Chemical Engineering from Eindhoven University of Technology. After graduation, she worked in the chemical industry before joining DWMA. 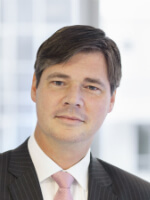 Dennis Medema is Innovation Specialist at LTO Glaskracht. Dennis has a Master degree in Agriculture Engineering from Wageningen University. He has over 10 years of experience in coordinating innovations on energy in the horticultural sector. Together with the national government he is coordinating projects on R&D with the goal cut done the CO2 emission from natural gas of the horticultural sector from 5,7 to 0 Mtons. Important options are energy savings, geothermical heat and waste heat. A precondition is a good CO2 supply for the greenhouses. Around the topic waste heat and CO2 supply we cooperate with waste sector in the Netherlands. LTO Glaskracht Nederland is an organisation for growers in horticulture in the Netherlands and we represent 2/3 of the horticulture sector. Together they work on national activities on the topics of influencing politics, increase professional skills and innovation for their members on the topics of Energy, Health of Plants, Water, Environment, Labor and Entrepreneurship. Previously, she worked at the transmission system operator 50Hertz, where she was responsible for coordination activities amongst 50Hertz and the three other German transmission system operators. She also represented 50Hertz internationally at the European Association of Transmission System Operators (ENTSO-E) and in bilateral initiatives. 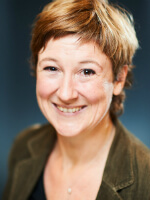 Ms. Teschner received her Master’s degree in Economics from Georg-August University in Göttingen in 2008. Prof. Mario Grosso is an environmental engineer graduated at Politecnico di Milano. He holds a PhD on the topic of dioxin formation and destruction in waste incineration plants. He is currently Associate Professor at the Department of Civil and Environmental Engineering of Politecnico. He coordinates the AWARE (Assessment on WAste and REsources) research group, aimed at researching on waste prevention, technologies for recovery and disposal of solid waste and of residues, integrated waste management, flue gas treatment technologies for industrial plants, definition of scenarios for emission reduction, as well as Life Cycle Assessment (LCA). He regularly teaches “Solid waste management and treatment” and “Bio-energy and waste-to-energy technologies” Master Courses at Politecnico di Milano, as well as “Principles of technologies for environmental protection” at L. Bocconi University. He is co-founder and member of the Scientific Board of the “MatER” Research Center, established within the LEAP laboratory in Piacenza. He is Associate Editor of the “Waste Management & Research” Journal since May 2015. He was founder of AIAT (the Italian environmental engineers associations), where he coordinates the Scientific Committee. He is member of IWWG (International Waste Working Group), of ISWA (International Solid Waste Association), of GITISA (the Italian network of Sanitary-Environmental Engineering) and of the Italian LCA network. He is part of the International Expert Group (IEG) on LCA applied to waste management. Lighea Speziale is an Environmental Engineer. She studied at the University of Rome and Trento and focused on appropriate technologies for Developing Countries. After cooperating with NGOs and a short experience in Academic research on LCA and Ecosystem approaches to land use planning, she moved to Brussels and started working for CEWEP. She is responsible for technical issues and currently covers environmental and energy topics. She is involved in the BREF Waste Incineration Review and also follows the review of BREF Large Combustion Plants and Waste Treatment. 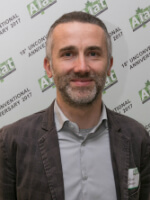 Carsten Spohn is the managing director of ITAD (Interessengemeinschaft der Thermischen Abfall-behandlungsanlagen in Deutschland – German Association of Waste-to-Energy plants) since 2007 – ITAD represents nearly 100 percent of German Municipal Solid Waste Incinerators as well as Sewage Sludge Incinerators and Refuse Derived Fuel-Incinerators. In this role he is Deputy President and member of several working groups of CEWEP, the Confederation of European Waste to Energy Plants. On European level he represents CEWEP as a member of the EIPPCB Technical Working Groups for the review of the BREF Waste Incineration and BREF Waste Treatment and is chair of CEWEP’s Working Group Residues. The Engineer started his occupational career 1994 at the chemical industry (German Solvay Group) and get in contact with the waste management sector in 1995, when he joined a team, which was projecting, building and starting operation of the waste management center “AEZ Asdonkshof” in the Lower Rhine area of Germany with different treatment plants including a waste incinerator, sorting plant, composting plant, bottom ash treatment plant and a landfill for inert materials. After the start-up phase he became inter alia head of the waste management department of AEZ. 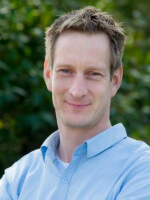 Dr. Jan-Peter Born is Business Manager at HVC Alkmaar. 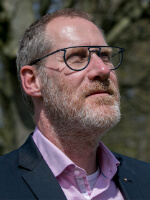 In 1991 Dr. Jan-Peter Born wrote a thesis ‘on dioxin formation during combustion processes’ and subsequently became an employee of the Dutch Waste Management Association (DWMA) during 1991 – 1998. His activities there focused on residues from waste combustion, especially bottom ash. In 1998 he was employed by HVC, which is a member of the DWMA. At HVC he fulfilled several R&D and senior management positions. Since 2012, still at HVC, he is active in the field of business development. As such he was project leader of the demonstration of bottom ash washing, in which HVC and Boskalis Environmental are cooperating. In this cooperation – called ‘wASH’ – Dr. Born is active as an advisor, mainly for policy, chemical topics and optimization of metal recovery. Dr. Born is also chairman of the working Group ‘Residues’ of DWMA and – as such – member of the WtE director board of DWMA. For DWMA Mr. Born is the negotiating counterpart for the ministry of the Environment & Infrastructure with respect to the Dutch Green Deal on bottom ash. On the European level he is a member of the CEWEP Residues Working Group, as well as the Scientific & Technical Advisory Council (STAC) of CEWEP. 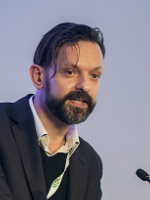 Luke Walsh is a journalist with nearly two decades of experience, the majority of which have been involved in covering the environmental business sector. He has worked on the news website endswasteandbioenergy.com for more than four years, covering developments in Europe’s energy-from-waste, biogas and bioenergy sectors. Luke is married with three children and lives in London. 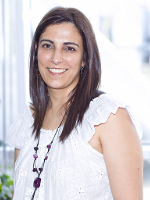 Ana Loureiro is Director of Communication of EGF – Environment Global Facilities – a European company of reference in the environmental sector and leader in the treatment and recovery of waste in Portugal -, since April 2016. She is dealing with several communication campaigns that are being implemented at a national level and she’s responsible for corporate communication related to EGF and its 11 concessionaries. Specialist in environmental communication, she was awarded the Communicator of the Year Award 2012 by APCE – Portuguese Business Communication Association and other communication awards. She is an active member of national and international organisations, in which she participates regularly in conferences, meetings and partnerships, among which ISWA – the International Solid Waste Association, APESB – Portuguese Association of Sanitary and Environmental Engineering (where she is a member) and D -Waste. Before working in EGF, she was Director of Communication, Image and Documentation at Valorsul – a company responsible for the treatment and recovery of urban waste in 19 municipalities in the North and West Lisbon area – where she developed her activity between 2000 and 2016. The beginning of her professional career took place in the City Hall of Lisbon, being part of the team that started the Ecological Park of Monsanto. She has a degree in Communication Sciences from Universidade Nova de Lisboa, with a postgraduate degree in Public Marketing by the Higher Institute of Business Communication and several technical training courses in communication and environment. 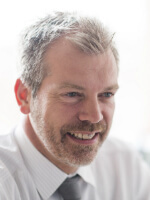 Dan Cooke is Group Head of Sustainability at Pennon and Director of Regulatory Affairs at Viridor. 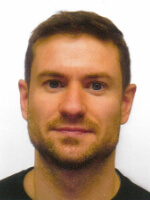 He has MCIWM, MCIPR, MSc (Environmental Management), BA (Hons) Communications. An experienced environmental & communications professional, Dan’s current responsibilities include strategy and programmes of sustainability across the resources, waste and water operating businesses within the FTSE 250 Pennon Group. Recent responsibilities at Viridor include regulatory affairs and strategic policy response, and previously; political, media and community relations, corporate and development communications, community consultation and the promotion and marketing of the company’s services and capabilities. He is currently Chairman of the Welsh Environmental Services Association, Chair of the Chartered Institution of Wastes Management Communications Committee, a CIWM General Councillor and Exec Committee member, past-chair of the CIWM South West, and a trustee of the Carymoor Environmental Trust. Prior to joining Viridor, Dan has worked within the environmental charity and local authority sectors. Pennon Group’s purpose is to bring resources to life. Pennon comprises of three businesses that provide essential services in resource and waste management, water and waste water and water retail. As one of the largest environmental infrastructure groups in the UK, Pennon is at the top end of the FTSE 250, with assets of around £5.9 billion and a workforce of c.5,000 people. Viridor is at the forefront of the resource sector in the UK transforming over 7 million tonnes of ‘waste’ p.a. into energy, high quality recyclates and raw materials, for customers from all sectors across the UK. Philip Heylen serves as Chairman of the Board of Directors of the ISVAG intermunicipal waste management organization in Antwerp. He is currently a business development manager at Ackermans & van Haaren, a diversified group active in 4 core segments: Marine Engineering & Contracting, Private Banking, Real Estate & Senior Care and Energy & Resources. Philip Heylen is also an honorary vice-mayor of the city of Antwerp and member of the city council. He graduated in law from the University of Antwerp. 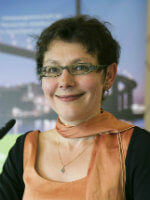 Dr. Ella Stengler is the Managing Director of CEWEP (the Confederation of European Waste-to-Energy Plants) since July 2003. CEWEP is the European Umbrella Association of the operators of Waste-to-Energy Plants and has offices in Germany and Brussels. She is dealing with European and Public Affairs, European policy and legislation on waste, environment, energy, emissions, etc. Current top priorities are the Circular Economy Package, the European Energy Union, Renewable Energy, Energy Efficiency, Heating & Cooling Strategy and Best Available Techniques. Before working for CEWEP, Ella was the Managing Director of ITAD, the German association of Waste-to-Energy Plants, and prior to that she was the Director of AGS the German association of hazardous waste companies (public private partnership). Ella has published several articles in German and International journals. She studied law in Germany and France. Her doctoral thesis was on the subject: recovery and disposal of waste according to national and Community law, published in 2000. Ella is working in the waste business since more than 20 years. Her first contact with waste policy was in the European Parliament in 1996, when she drafted a report about waste shipments within the EU for the Parliament’s Environment Committee.